Well, though on Saturday I promised you a circuit in a new area, I lied. Not lied, exactly, just didn't think it all the way through. 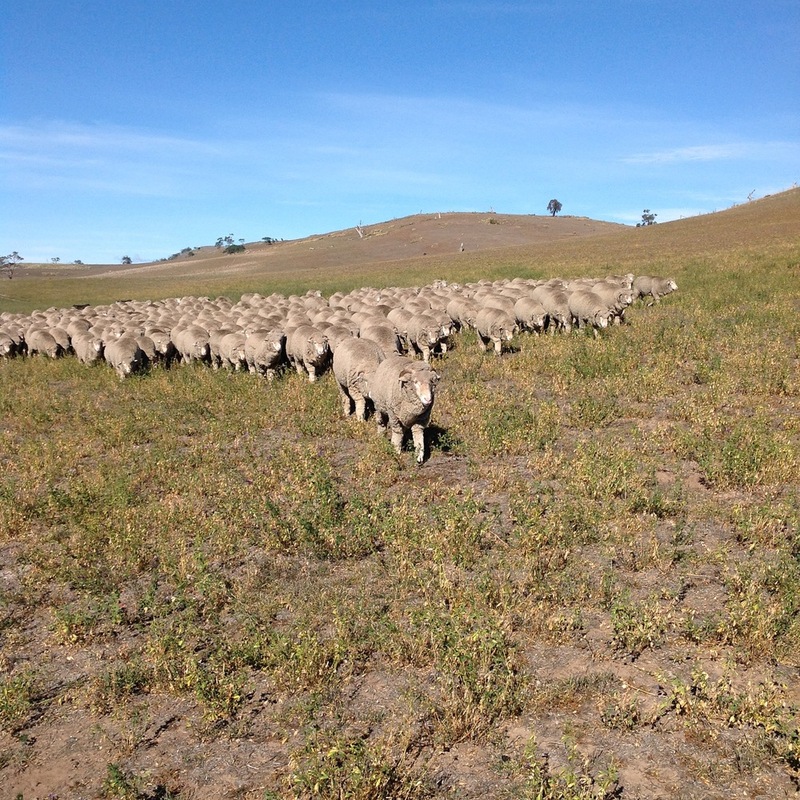 I'm betting the sheep will still be on the eastern end of the White Gum Grazing Area and therefore close to the Lucerne Reserve. Might as well have another bite at beating the bugs to the lucerne crop! Should be another nice day in paradise. At least, if it can't rain, it's lovely to have it be warm and not windy. Winter winds will be here all too soon. Of course, I could be completely wrong about where the sheep are hanging out, so I could be in for a long hike to the far western end. In that case, we'll head for the biodiverse area along the highway. You can now follow whitegumwool on Twitter, Facebook and Instagram, though I haven't figured out how to get the buttons to work on my website. I'll post notifications on Twitter and Facebook when I post this. END OF THE DAY NOTES: Well, with the minor difference of the pickup location, the circuit went surprisingly close to plan. As often seems to happen, we hurried a bit down the last part of the lucerne, but they were grazing all the way, even though the dogs were on their tails. I was really happy with the circuit, and getting that bit of a graze in the old drought lot right at the beginning was a bonus. 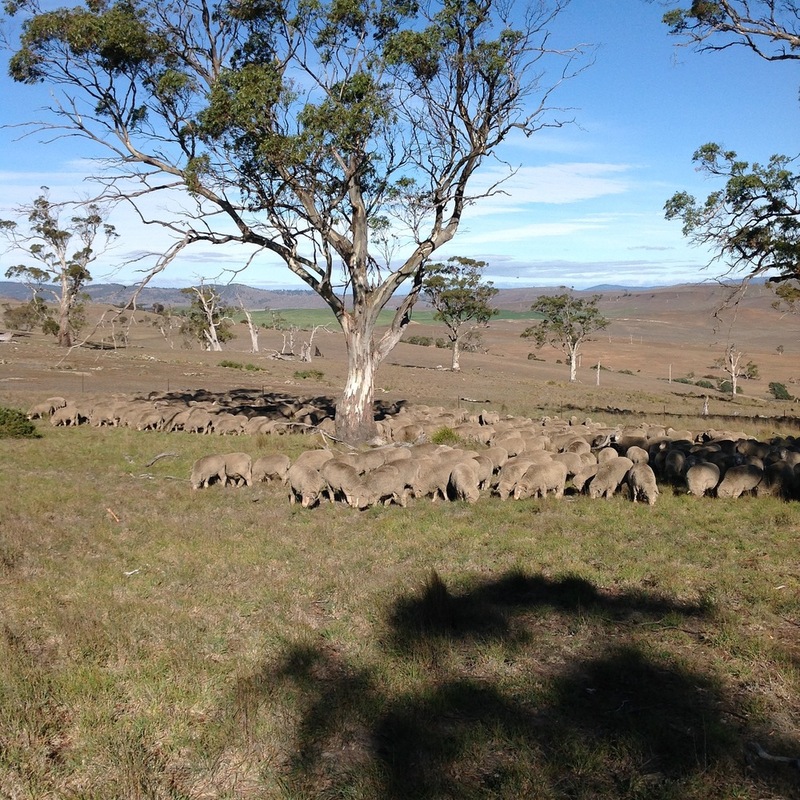 Usually, I have to actively shepherd them in there, so it was great to find them there already, and willing to graze back southward through the nice feed before heading down across the flat to the Lucerne Reserve. P1: Pickup. 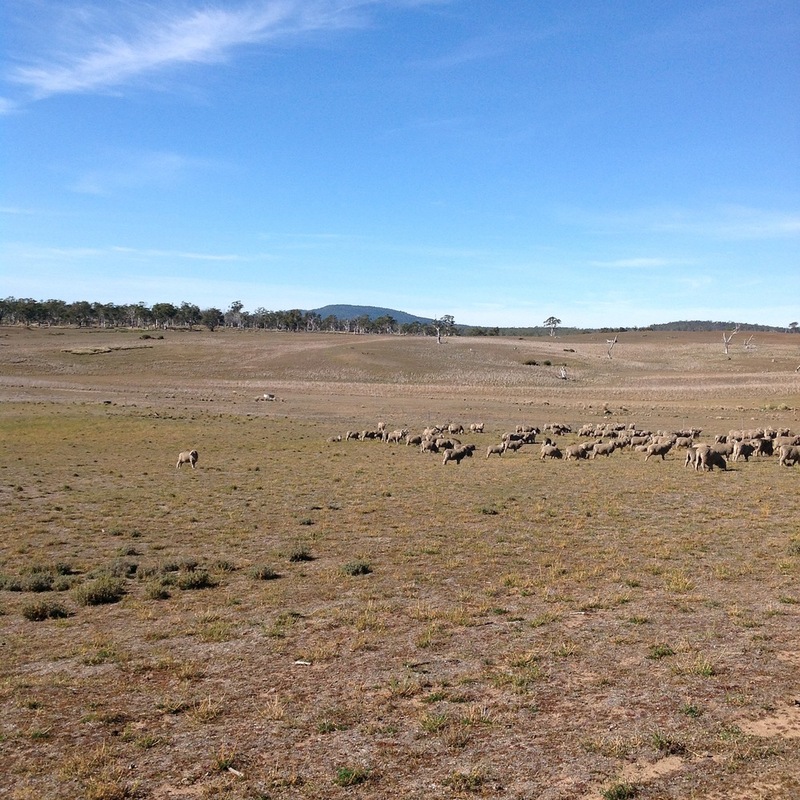 This is the old "drought lot", now open for them to graze. The fresh feed and NW wind have drawn them in. P2: An unexpected bonus--second breakfast! P3: Horatio leading into the top of the Lucerne Reserve. P4: Grazing the southern end of the lucerne. The really didn't want to come over the hill and down: going downwind AND downhill is always tricky. The dogs are having a breather, and so am I.
Horatio trying unsuccessfully to lead the flock into the wind. The old girls are lying down having a rest and declining to move. I know just how he feels! P7: Alice has always been camera shy--that's her with no tail, second from the right. Heading up the laneway back into the White Gum Grazing Area. This is where we leave them for today. Back on Wednesday!